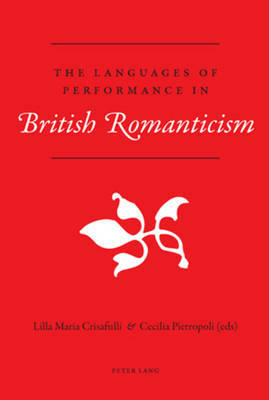 This volume presents a selection of essays by established Italian and international scholars in the field of Romantic drama. It is divided into four main sections: 1) Dramatic Theory and Practice; 2) On the Romantic Stage: History, Arts, and Acting; 3) Interaction of Genres: from Fiction to Drama; 4) The Romantics' Debate on Theatre and Drama: a Selected Anthology. The crucial area of debate these essays address is the way in which the problem of the dramatic representation of the self becomes in Romantic drama the very centre of reflection on the constitution of the modern subject. Each essay explores one or more aspects of the formation of modern subjectivity through dramatic representation of the self and through critical enquiry into the modes of that representation. The first and the fourth sections discuss the complex interaction between the theoretical questions that animated the debate around the Romantic theatre and the multifarious and often unruly performance practices of the time. The other two sections deal with the many and diverse ways in which Romantic drama engaged with and incorporated other artistic genres such as painting, performing arts, music, and the novel.